Nanotron Technologies, a provider of wireless products that help to protect and find people, has launched a new wireless product platform designed for industrial safety applications: the swarm platform. 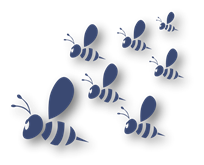 Nanotron’s swarm platform relies on swarm intelligence – individuals in a swarm know their position and communicate with one another thus moving around securely without interfering with each other. The Nanotron platform is currently used for collision avoidance, secure access and virtual safety zones. The swarm platform consists of radios controlled by an application programming interface (API), as well as toolkits enabling fast development and implementation of location-aware applications. With the included API, swarm platform has been designed to enable users to easily create their own location aware applications, reducing overall development effort and thus reducing time to market. Swarm radios have also been optimized and tested as low power 2.4 GHz chirp spread spectrum radio modules; a key element for mobile solutions. They can be directly deployed without any need for low level driver software. Besides communication, it incorporates location awareness, the ability to measure the distances between individuals in the swarm. In industrial safety applications for instance, swarm can be used for collision avoidance – an alarm is generated if machines or people get too close to one another.